Tool and die is an expression to explain the method of making an instrument or die or mold, which will be used for a product’s mass production. It’s usually used to refer to tool and die makers who are mechanically trained professionals who create ways for mass production. Dies are molds that are made to specifications of a product that will be mass produced. Tool and die production helps reduce manufacturing time and can be part of production lines in creating parts for auto production. There are a variety of dies that can be made. The process is sometimes known as casting a die. A tool and die maker uses precision instruments to cast or make a die, such as lathes, surface grinders, and the like; anything that is used to manipulate the material that will become the mold for mass produced items. The material in casting die is most often metal, particularly steel which is hardest and will hold up repeated production use. Tool and die makers are also trained to spec their own equipment, testing it against calibrators and measurements so that no errors are found in production. There are different types of dies as well. 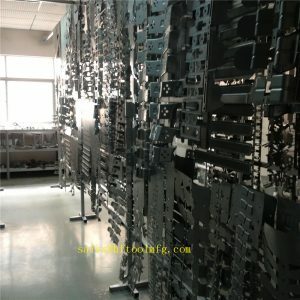 Some use repeat layering to build up, some take specs and build to plans and others might be press as part of a chain of dies that may be needed to reach the end result of the mass produced item, maintaining each piece’s integrity. Progressive dies use the latter approach. They are dies that are made as steps to creating the final product. They will often be found in a production chain, leading from one step to another with each die further finishing the work of the previous one. Progressive die work is usually referred to as progressive die stamping. It’s most often used for stamping out metal parts and sheets that will be used in the manufacturing process for automobiles and other large machinery. Progressive dies are used in an assembly line of work stations. Each die in the line will further finish the work of the previous one, fine tuning the pressing or stamping of the metal. Sheet metal is almost always made this way, ensuring a flawless finish of each sheet. Single dies are also common and created for one use. 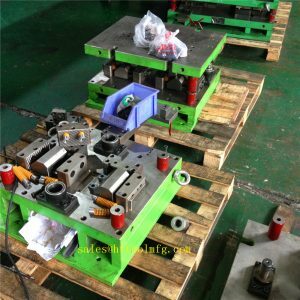 They contain the complete mold for an end product and do not require further molds to finish the product. The mass produced item can be simple but some complex items can be made from a single die as well. Transfer dies are single dies lined up in an assembly of work stations that will partially mold an item for additional work and molding to be done by the next die in the station. These are sometimes known as line dies and will work in their own production line to produce items like metal parts used in auto industries or large accessories and implements. Tool and casting die is used regularly in auto part work and mass production that requires precision parts that will be assembled to create a product.